 Women Lead to Peace summit for Syria – Monteaux, Switzerland. 20-22nd January, 2014. The people of Syria are crying out for peace and they have a right to peace, and all other rights. As the human family we have developed many individual and collective rights. As a pre-requisite for many of these rights, is the right to peace. In article 28 of the UDHR (Universal Declaration of Human rights) it states ‘everyone is entitled to a social and international order in which the rights and freedoms set forth in this declaration can be fully realized.’ They also have the right not to be tortured, or killed or brutalized and made refugees from their own homes and country. All participants at the forthcoming Geneva II talks have a legal responsibility to dialogue with each other and all parties to the conflict, on the way forward to peace for the Syrian people. It is important that the voice of Syrian women be heard and that Syrian women are full participants at the Geneva II talks as stipulated under UN Resolutions. Women are great peacemakers, and mediators and their talent for dialogue, etc., will bring wider perspectives and more concrete solutions to the peace process. (Women played an important role in both ending the violence and the peace negotiations in Northern Ireland). It must be acknowledged that Syrian society, which has been so traumatized by brutal violence, needs space to be healed and recover. They too need time to dialogue to determine what they want for their children, their country. The people of Syria have a right to self-determination and no outsiders, or country, have a right to determine their cultural/social/political choices. Change and reform can only evolve from within Syrian Society itself. The process of change is as important as the outcome, and will determine the end result. Violence therefore from both Syrian State and national and foreign armed fighters must stop to allow the long journey of reform and reconciliation, development and progress towards forthcoming elections in Syria. I have visited Syria and have witnessed their sorrow and their joy. During my visit to syria, I was inspired by many peace activists, including Mother Agnes Mariam and Mussalaha reconciliation movement, and many other people from both the religious and civil communities. The Government and opposition forces need to talk, but the missing link in the middle (as happened in Northern Ireland) is the civil community who at the grassroots help reunite and reknit Communities, so dangerously, through fear and violence, pushed towards igniting ethic and religious conflict. In N. Ireland we learned that no conflict is ever solved without ending rivalries, talking to enemies, and beginning the process of disarmament. All those courageous enough to engage in this work should not be ostracised or marginalized but rather supported in taking such necessary steps in conflict resolution and confidence building. I met many Syrian women, calling for an end to all violence, real democracy, women’s rights, the lifting of economic sanctions, the Syrian people’s right to self-determination and an end to the presence of foreign fighters in their country. We can all support their efforts by affirming we stand in friendship, love and solidarity as members of the Human Family, united in our binding desire to protect all Syrian children, our children everywhere, and to save our world from violence and war. In Northern Ireland we lived for almost 40 years with deep ethnic/political conflict until people came to their good sense and agreed that there would not be a military/paramilitary solution, but only through nonkilling, nonviolence and dialogue could we build peace and find a political solution to the conflict. I appeal to all those using violence, both inside Syrian and outside forces and governments who are funding a proxy war and foreign fighters in order to destabilize Syria, to stop the violence, support fully a Syrian ceasefire and peace process and work for reform and human rights including rights of women. We, in the international community have a responsibility to increase aid to refugees, support dialogue, and women at the peace table, and join the Syrian people in rejecting the bomb and bullet and all the technique of violence for the sake of Syria, and the human family many of whom wish to move beyond militarism and war to peace, friendship, and love.